“Finnegan’s Field”, at Tor.com, Ellen Datlow (ed.). “Change Management”, in Dead Letters, Conrad Williams (ed. ), Titan Books. “Tin Soldier”, Dark Discoveries Magazine, Aaron J. French (ed.) Issue #35, Summer 2016, JournalStone Publishing. “Neither Time Nor Tears”, Dreaming in the Dark, Jack Dann (ed. ), PS Publishing. “The Bone Mother”, Beyond the Woods: Retold Fairy Tales, Paula Guran (ed. ), Night Shade. “Home and Hearth”, In Your Face, Tehani Wessely (ed. ), FableCroft Publications, 2016. “Ripper”, in The Year’s Best Dark Fantasy and Horror 2016, Paula Guran (ed. ), Prime Books. 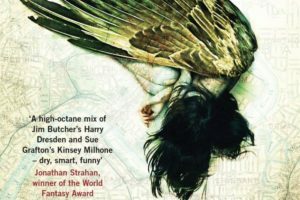 Ditmar Award for Best Novella for Of Sorrow and Such (Tor.com). This entry was posted in News and tagged angela slatter, Dark Discoveries Magazine, Ditmar award for best novella, ellen datlow, jack dann, Of Sorrow and Such, Paula Guran, prime books, ps publishing, Tehani Wessely, Vigil. Bookmark the permalink.